DAVID LE/Staff photo. 3/14/15. 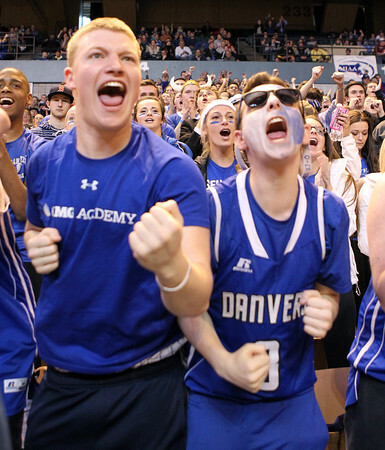 Danvers senior Nick Andreas and junior Wes Milbury, right, react after a made Falcon free-throw at the end of the Falcons 52-49 win over Marlboro.